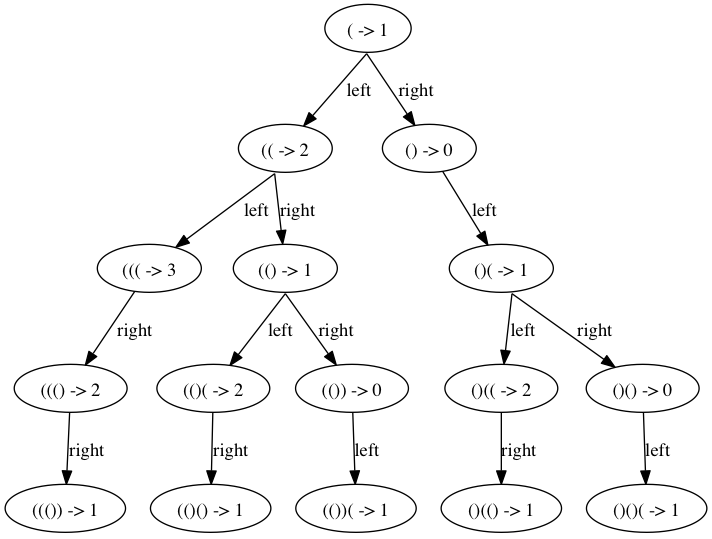 The basic idea is to construct a Binary Tree, where left node is '(' extra and right node is ')' extra from the current node. Each node has a weight = number of '(' - number of ')'. We start with a root node '(' at level 0 and create the tree such that the 2N-1 level will contain permutations for N pairs. Now the code. Infact not using a tree at all, just a linked list and traversing in preorder style, using the concepts above of adding a child. I could have used an array instead of linked list, but it suffers from list expansion frequently hence slowing everything down.